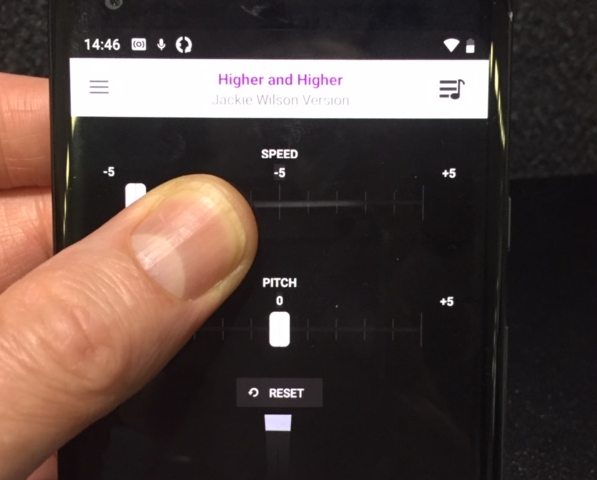 We have had reports from some users of the Google Pixel 2 phone that the Choir Player audio is distorted if you change the Speed or Pitch of a song. After investigation, we have found that the cause of the problem appears to be a flaw in the design of the phone, where one of the internal speakers makes a crackling sound under certain circumstances. Google have not made a public admission of a design flaw and the problem does not occur on all Pixel 2 phones, so it’s very hard to determine how widespread the problem really is. 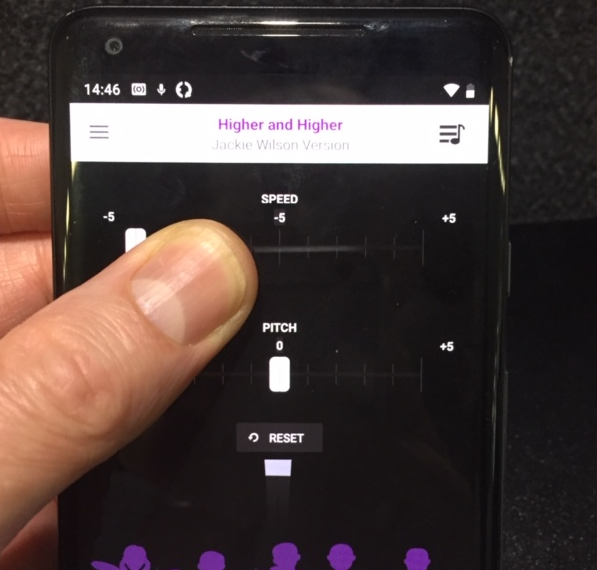 Unfortunately, we have found that the problem does occur with many of the Choir Player songs when played on a Google Pixel 2 (but only when you change the speed or pitch of the songs). Note that the problem does not occur on other phones, nor does it occur on the Pixel 2 if you use headphones, an external (wired or Bluetooth) speaker or if you play the song through a PA system. The good news is that we have found a “fix” for the problem, which is to gently squeeze the phone near to the speaker that is distorting. Clearly, this isn’t an ideal solution but it’s easy and free !